Wholesale prices pushed higher in August, with rising gasoline costs figuring strongly in the mix. The Bureau of Labor Statistics (BLS) reports its Producer Price Index (PPI) for final demand shot up a seasonally adjusted 0.4 percent in September after rising 0.2 percent in August and dipping 0.1 percent in July. For the 12 months ended in September, the PPI was up 2.6 percent, the sharpest increase since the year ended in February 2012. The cost of goods jumped 0.7 percent last month, the biggest advance since a 1.0 percent increase in January. Two-thirds of the September increase can be attributed to the price of gasoline, which soared 10.9 percent due likely to reduced refining capacity in the Gulf Coast area because of Hurricane Harvey. All told, energy prices climbed 3.4 percent. Other commodities showing increases were jet fuel, motor vehicles, diesel fuel, fresh & dry vegetables, and chicken eggs. Prices for young chickens, on the other hand, fell 4.7 percent with the costs of electric power and integrated microcircuits also lower. The cost of services was up 0.4 percent in September, the largest rise since April. Roughly 30 percent of that was for machinery, equipment, parts, and supplies wholesaling, which jumped 1.3 percent. The cost of residential real estate loans fell 2.6 percent, with prices for automobiles & automobile parts retailing and for clothing wholesaling also declining. 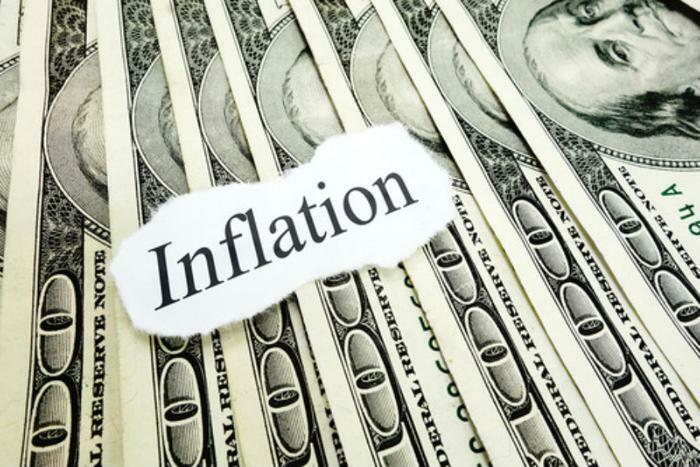 The core rate of inflation, which strips out the volatile foods and energy was up 0.3 percent. The complete report is on the BLS website.